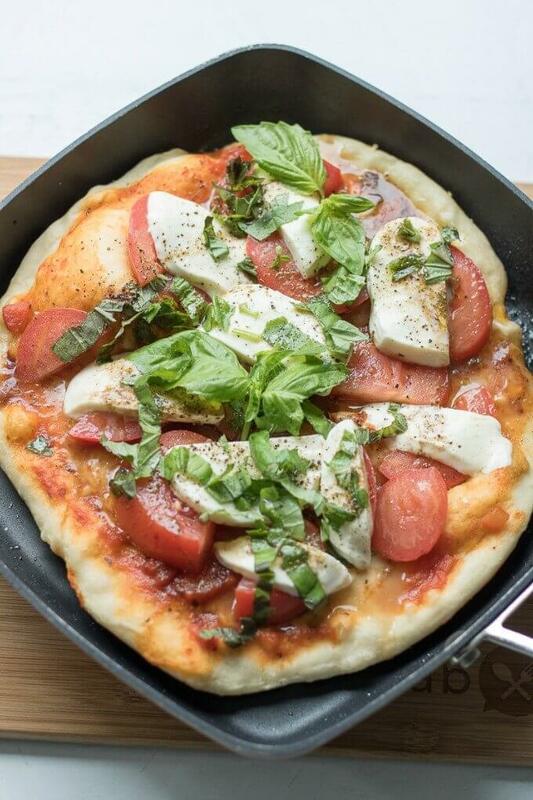 Homemade Grilled Caprese Pizza on SoFabFood - On the stove Top! This Homemade Grilled Caprese Pizza is a vegetarian dish made from scratch. 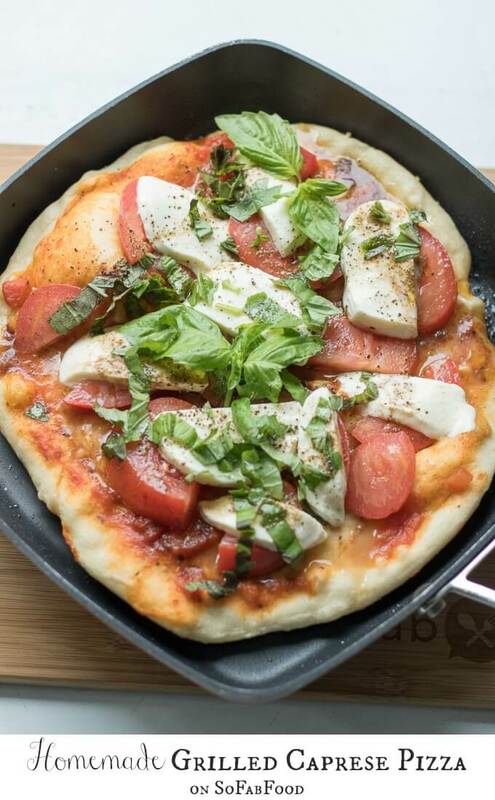 Topped with the fresh flavors of tomato, basil, and mozzarella on an easy homemade pizza crust, these single serve pizzas are perfect if you’re cooking for two for date night. Hi Everyone, it’s time to share my latest guest post on SoFabFood: Homemade Grilled Caprese Pizza. Yes, it’s totally possible to grill pizza and grill it right on your stove top (or outdoor grill!). You will need a grill pan, I use mine every single week! You can see all my SoFabFood guest post teasers, here.